As protesters in Standing Rock clean up camp and head home, Sioux Tribes in North and South Dakota are still battling in court to stop the Dakota Access Pipeline. Their fight has inspired protesters who are trying to stop pipeline construction in other parts of the country. 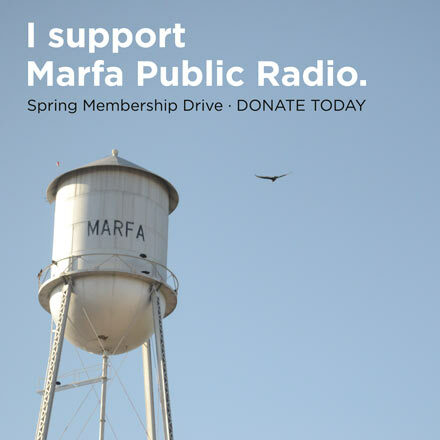 In the Big Bend Region of Texas, construction on the Trans-Pecos Pipeline is nearly complete. Destiny Willcuts is a native Lakota Sioux. 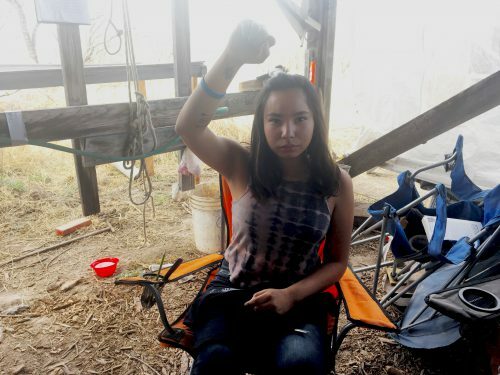 She left Standing Rock with her mother when extreme winter weather hit the area. 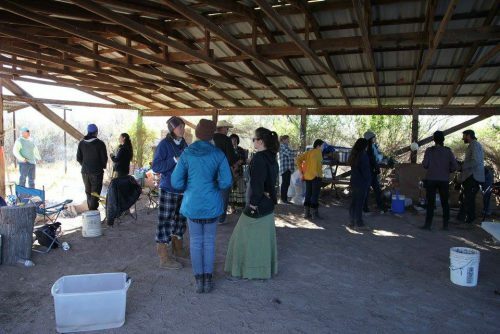 They headed south, to a newly erected pipeline protest camp in Presidio County, Texas. “I didn’t want to give up the fight so I just decided to head to another front line,” Willcutts says. Willcuts is 16. 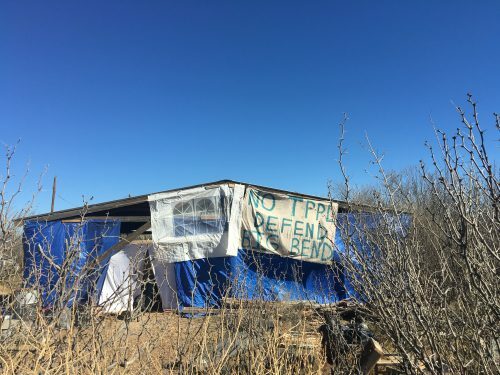 She was arrested in January for chaining herself to a bulldozer on a Trans-Pecos Pipeline construction site in Presidio County. So far, 16 people have been been arrested while protesting the pipeline. Willcutts is facing felony charges. 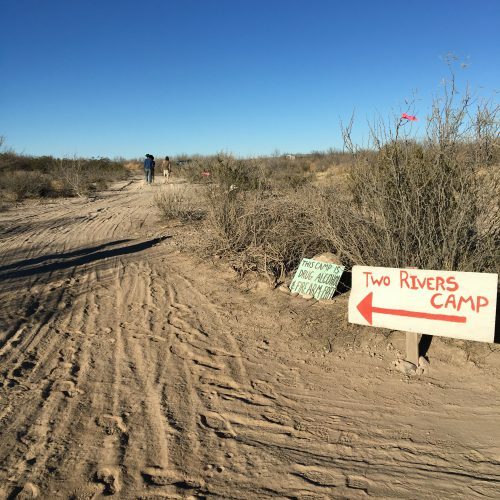 The Two Rivers Camp sits on private land in rural Presidio County, 25 miles from the border of Mexico. The site is only accessible by winding dirt roads with limited signage. 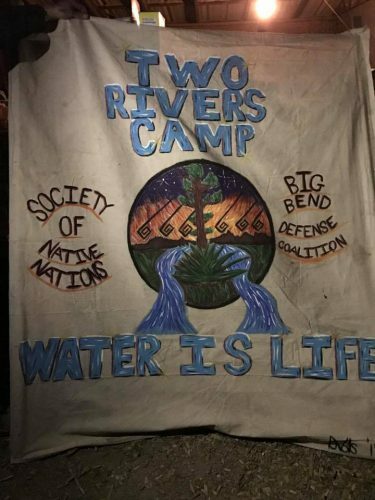 Most of the protesters at Two Rivers came from Texas cities or other pipeline protest sites across the country, and camp organizers have been hosting community events to boost local attendance. 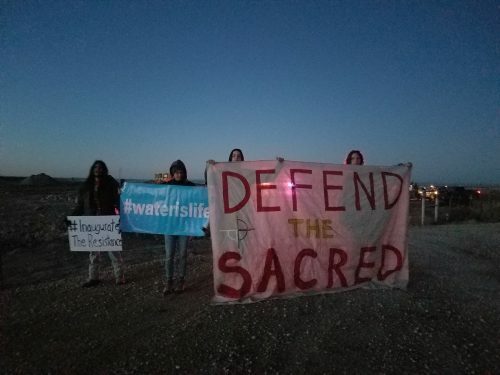 Frankie Orona, Executive Director of the San Antonio-based Society of Native Nations, says they chose to set up camp on private land for several reasons. His group was invited by the Big Bend Defense Coalition to consult with indigenous communities in the area and organize a protest camp. They established Two Rivers in late December, several weeks after the Army Corps of Engineers ruling that temporarily halted construction of the Dakota Access Pipeline in North Dakota. The two pipelines have the same Dallas-based parent company: Energy Transfer Partners. According to Dr. Carey King with the Energy Institute at UT Austin, pipelines benefit Texas producers and consumers. “Another pipeline to another country that is growing in its electricity consumption, and particularly looking to install some more natural gas generation is an advantage for Texas producers,” he says. 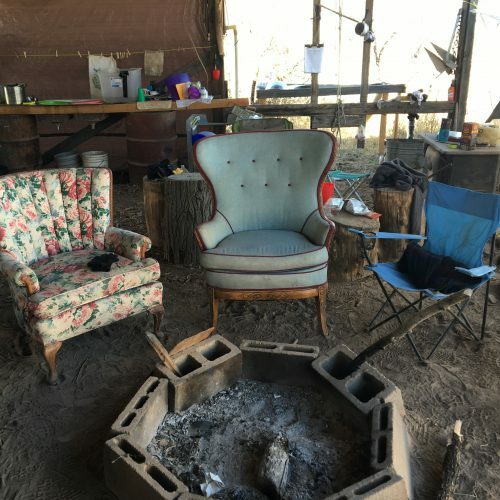 For camp organizers like Orona, fear of water contamination and destruction of desert ecology are some of the biggest environmental concerns related to the pipeline. “Now, is it likely that we’re not going to be able to stop them completely? Yeah,” he says to a group gathered for community brunch. Protesters at Two Rivers recognize that the odds of stopping the Trans-Pecos Pipeline completely are slim. So why continue the fight? Orona and fellow organizer Lori Glover believe they can impact pipeline policy and divestment from banks that support pipelines. Especially as the cities of Seattle, Washington and Davis, California are moving to cut ties with Wells Fargo, a lender to the Dakota Access pipeline. “Success is not just measured in terms of whether a pipeline is stopped or not stopped,” Glover says. Glover is an organizer for the Big Bend Defense Coaltion. She owns the land currently hosting the Two Rivers Camp. According to Energy Transfer, the Trans-Pecos Pipeline is more than 96% complete. It’s on schedule to be in service by the end of next month. This entry was posted in KRTS News and tagged big bend defense coalition, Energy, Energy Transfer Partners, Pipelines, Trans Pecos Pipeline, two rivers camp. Bookmark the permalink.